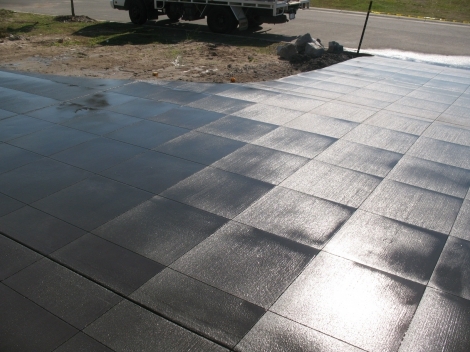 The soff cut system is used for expansion joints on new concrete slabs to minimise random cracking. Soff cut machines are small and light so can be used within hours of the slab being finished or the next morning. The system cuts dry so will not interrupt other areas with water and is easily swept clean. Soff cut can also be used to cut a decorative design onto the slab incorporating the expansion joints.